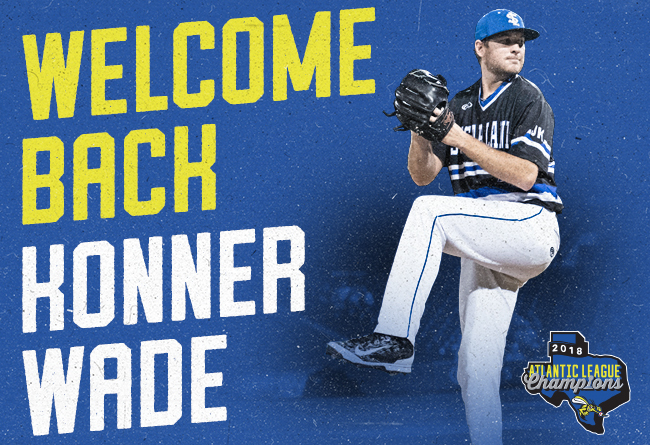 (Sugar Land, Texas, March 20, 2019) - The Sugar Land Skeeters today announced that they’ve re-signed right-handed pitcher Konner Wade. Wade, 27, first joined the Skeeters in 2018, going 8-6 with a 3.10 ERA in 27 games, logging a team-high 136.2 innings pitched. Wade, who was selected to the 2018 Atlantic League All-Star Game, was third in the Atlantic League in innings pitched, fourth in ERA and tied for 10th in wins.